Since we got out chickens in April, we've been learning a lot. They are a ton of fun and I love owning chickens. I highly recommend it. 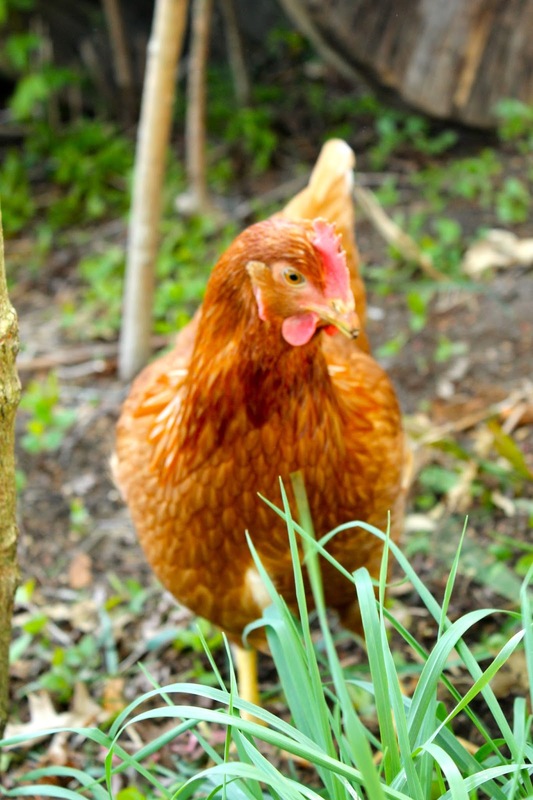 Like all things in life, having chickens comes with a learning curve. There were just things I didn't know about chickens before I owned chickens. Here are six of them. They will straight up attack as a flock. My little doxie, Oscar learned this all too late. When we first got the chickens, he thought he could bully them around and pick off their tail feathers. That lasted about three weeks and then they all decided one day that they were turning the table. They flew on him and he cried like a baby. Gangster. I saw a chicken eat a dead baby bird the other day. I thought it was a mouse, which I was somehow more comfortable with....it was intense. And she had to fight the other chickens off of her to keep her dead baby bird prize. Cannibals I tell you, cannibals. I had no idea. I know all animals have to clean themselves somehow, but it never occurred to me they were dust lovers. It’s the cutest thing, really. Fresh eggs are more yellow! 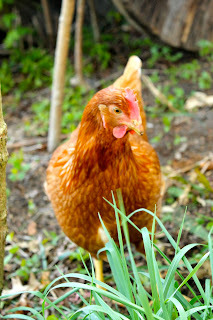 We feed organic feed to our chickens in addition to letting them graze all day in our yard. I read that the grazing makes the egg yolks more yellow--does it ever!!! I don’t think I would recognize a store bought egg at this point because it would be all pale. Ours also taste better.